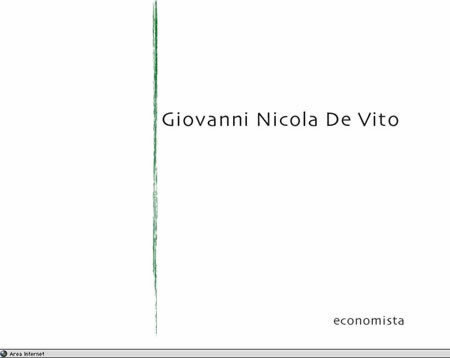 Design and construction site staff economist Italian Giovanni De Vito. The aim of the site is to build a tool that can provide ideas for analysis and discussion on current economic issues of particular interest within the international economy, industrial economy, finance and econometrics. The site is activated by contributions from friends and colleagues and thanks to the proposals to be submitted and eventually published.